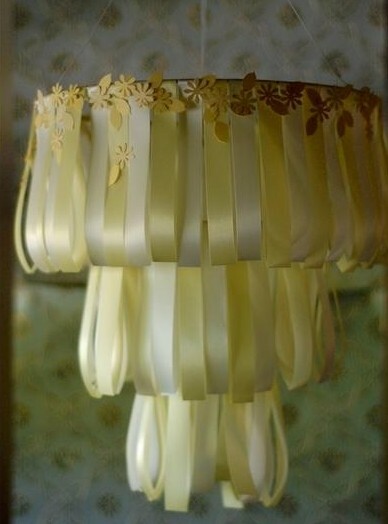 Make a chandelier that looks like a wedding cake using ribbons! Follow the tutorial on the source to create this idea. See this idea using a variety of white ribbons.